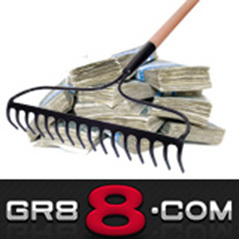 Rakeback is once again on the menu for players at GR88.com. Players at the site will be able to able get up to 35% of their rake refunded from 1st June, exactly as it was before the programme was cancelled last month. A member of the Merge network, GR88.com is home to a wide variety hold'em, stud, draw and Omaha games with its Bad Beat Jackpot currently approaching the $250,000 mark.